I’d been hearing about and seeing Fonuts pop up on blogs and in food news for the last week or so and on Saturday, I just happened to drive right by the storefront so I immediately parked and scurried in to see what all the hype’s been about. Fonuts are deliciously rich baked donuts that taste more like cake than the standard donut. While I love all desserts, donuts have never been at the top of my list but these baked goodies may have changed my mind. With flavors like strawberry buttermilk, chorizo cheddar and rosemary olive oil, choosing my chocolate hazelnut and lemon glaze was no easy feat, but they were both scrumptious ’til the last bite. 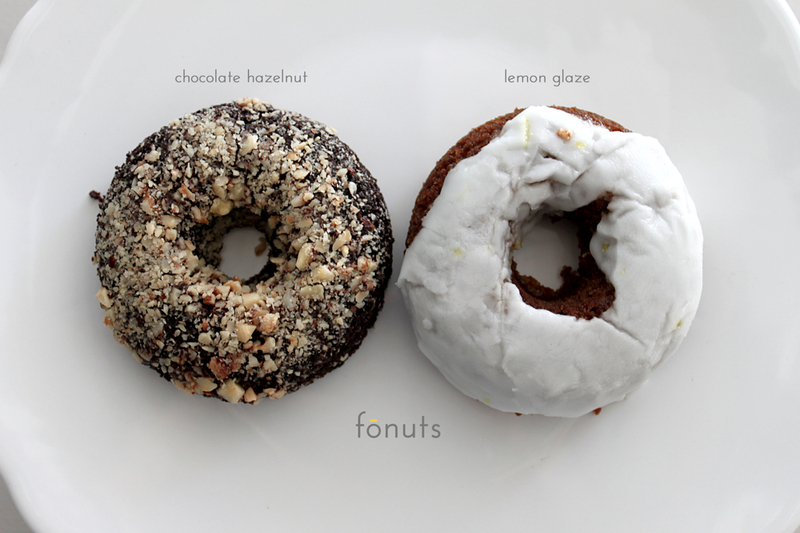 Check out the rest of Fonuts yummy flavors here! xoxo!